Manchester United defender Eric Bailly is a reported January transfer target for AC Milan amid rumours they’re close to appointing former Arsenal boss Arsene Wenger as their new manager. ESPN link Bailly with Milan as he’s concerned about his situation at Old Trafford, with United manager Jose Mourinho certainly seeming to lose faith in him in recent times. The Ivory Coast international could, however, be a decent signing for most top clubs after initially showing plenty of promise in a United shirt, despite some difficulties with injuries. Has Eric Bailly run out of chances at Manchester United? 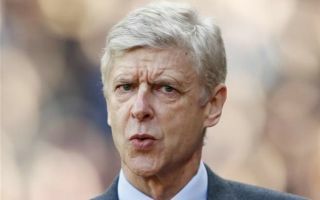 ESPN claim Milan are working on a deal by trying to get an idea of the Red Devils’ valuation of the player, and it could well be that he’ll make his way to the San Siro this winter alongside new manager Wenger. France Football strongly link the Frenchman with replacing Gennaro Gattuso as Milan manager, in what would no doubt be an intriguing move after his 22 years at Arsenal. Bailly seems like a decent player to get Wenger off to a good start as the Rossoneri could do with some big-name signings to help them tighten up at the back.